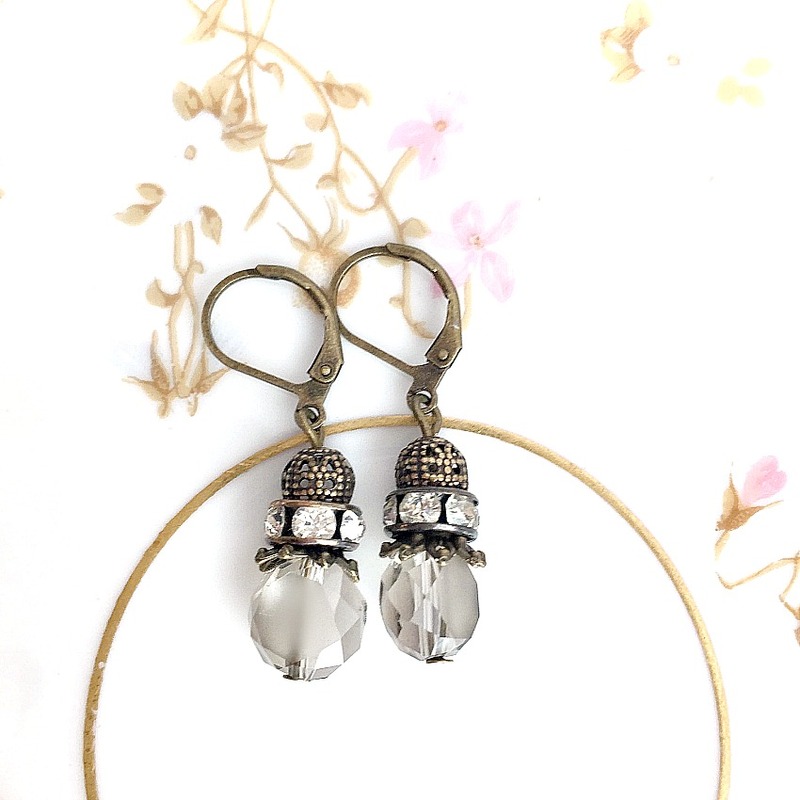 Elegant drop earrings, with faceted clear crystals that have an ever-so-slight soft dove grey tint, and are the perfect match for the rhinestone rondelles that catch every glimmer of light. Whether you wear them on a date night out in Paris, or to the office or shopping, they make a statement. Designed and created in the USA by jewelry designer Georgia Hecht with exceptional care and entirely by hand, she is a true artist. Fabulous to add to your jewelry collection, and a thoughtful luxury gift for your very best friend, if you can bear to part with these once they arrive chez vous. Measure 1-1/4" long x 1/4".